Samsung is all set to launch a handful of new Galaxy A series smartphones in the coming weeks. 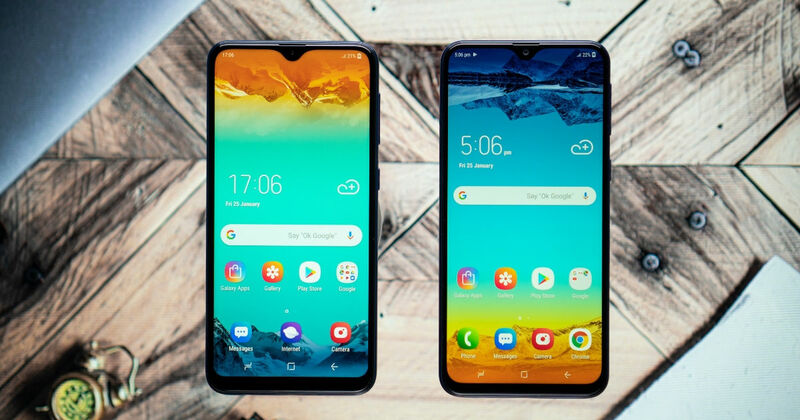 Some of these smartphones are tipped to be called the Galaxy A10, Galaxy A20, and Galaxy A30, which are expected to be launched before the end of this quarter. Complete specifications of some of the upcoming Galaxy A series handsets were leaked earlier today. 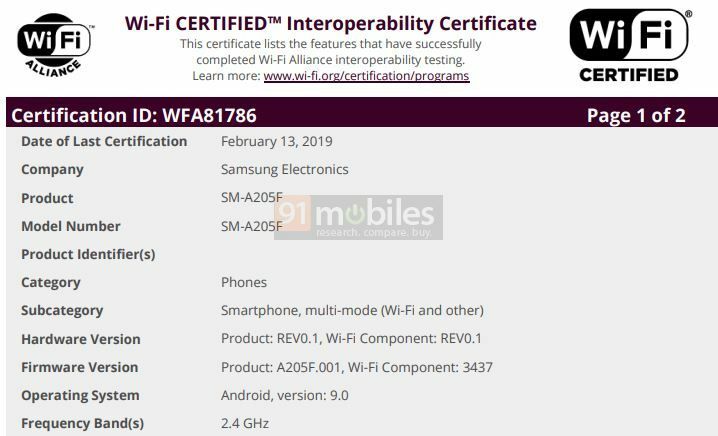 Now, the Galaxy A10 and Galaxy A20 have been certified by Wi-Fi Alliance, which suggests towards their imminent launch. 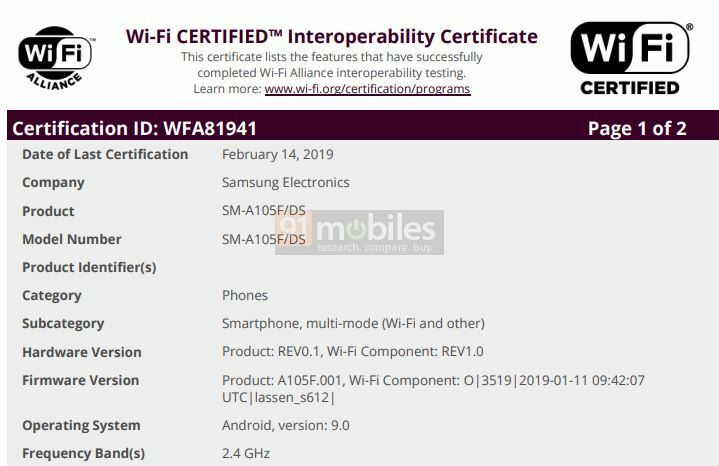 The Samsung Galaxy A10 and Galaxy A20 have surfaced on the Wi-Fi Alliance’s website under the model numbers SM-A105F/DS and SM-A205F respectively. The certification reveals that both of these smartphones will boot Android Pie out of the box. Also, both of the handsets will support the single-band 2.4GHz Wi-Fi connectivity. According to the earlier leaks, the Samsung Galaxy A10 will be a budget handset featuring a 6.2-inch HD+ display with the Infinity-V notch. The phone will be powered by a 1.6GHz octa-core Exynos 7884 processor, and come with 3GB of RAM and 32GB of storage. For imaging, the handset will offer a 13MP rear camera and a 5MP front shooter. A beefy 4,000mAh battery with 5W charging will keep the smartphone running. As for the Samsung Galaxy A20, there’s no word regarding the specifications of the smartphone at the moment. However, we do know that there will be an Android Go variant of the handset with the model number SM-A260F, which will come with an Exynos 7870 SoC and Android 8.1 Oreo.